I love tennis, yes I do! And I have learnt how to enjoy more the sport since I saw for the first time Gustavo Kuerten, former Brazilian tennis player three time champion of Roland Garros, playing a professional match. It was magical to have a top tennis player from my country, in my generation. He was (and still is) my tennis icon. Kuerten never won Wimbledon, but he became the first Brazilian tennis player to hit the quarterfinals, since 1972, of the world's oldest tennis tournament. And how many important tennis players can you associate with Wimbledon tournament? Many important ones, for sure. 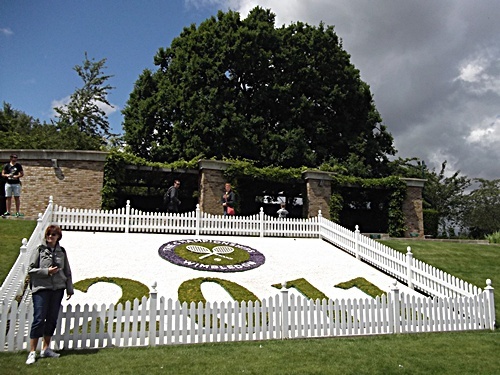 Yes, Wimbledon is magic and everyone should be visiting its ground and sacred courts. So why not try the tour guide at this scared place? The visit to the ground and museum costs only £22. I say ONLY because the price includes checking almost the whole ground, a very interesting and very interactive museum, besides the central court and other facilities in one hour and a half of guided tour. As expected, it's a very popular attraction, especially in the Summer so it's always better to book your tour before or after the tournament. 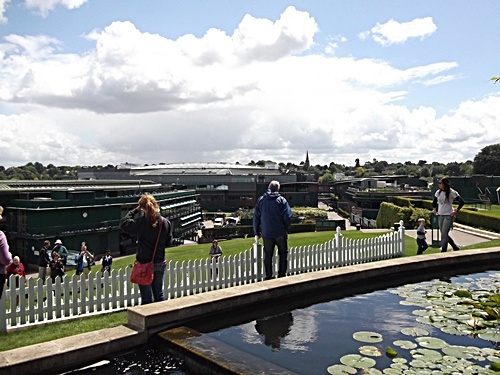 This tour takes you back not just to the Wimbledon but the history of the tennis itself. Back to 1877, when the competition was held for the first time. 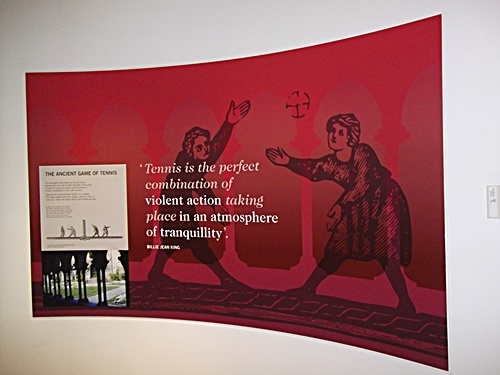 The Lawn Tennis museum is pretty interactive, giving children the chance to experience the sport properly and the adults to know the most interesting facts about tennis. From a simple lawn mower to the most fashionable uniforms a tennis player wore during the games. 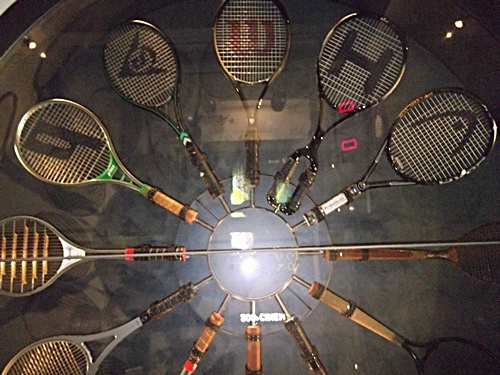 And obviously, loads of rackets and tennis balls that tells the history of this centenary tournament. Don't forget to check Joe McEnroe interactive conversation. He has a special way to present himself as a legend and very controversial player. 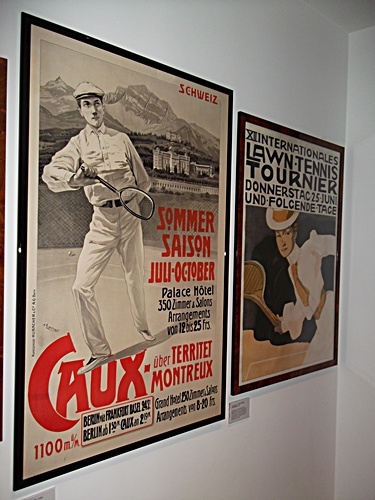 I loved the vintage posters of the championships and you can see the difference in the treatment between ladies and gentlemen tournaments back in time, as well as them showing the evolution of the sport itself. A very fashionable and posh sport, by the way. 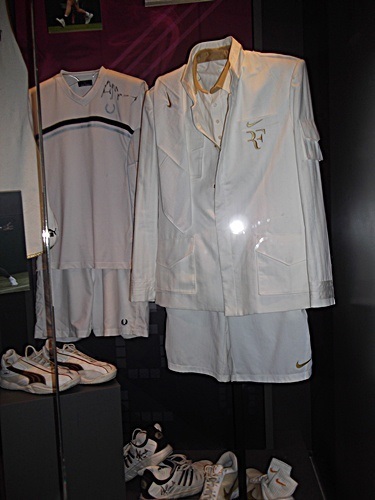 It can be spotted how important the players outfit when you are playing Wimbledon until nowadays. 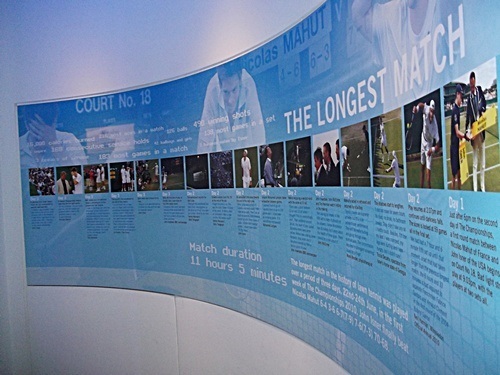 In the press room, you not only learn more facts and figures about the important players that made history in Wimbledon but also have your own photo taken there. A very good moment for the kids who think about a tennis player career, huh? 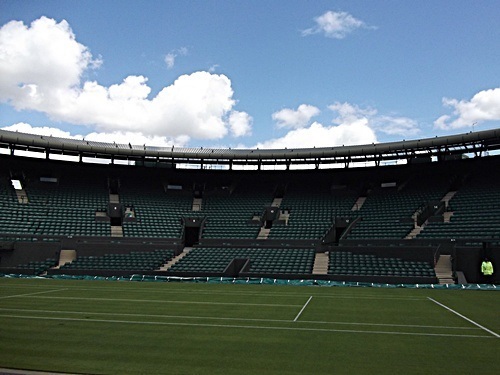 For me, the best part of this tour is definitely the visit outside, where you can seat in one of the many seats in the central court and imagine how it would be nice to have some strawberry and cream while watching a Federer, Murray or Nadal or any tennis legend match. Not to mention many names from the past that made the history of Wimbledon more and more important. 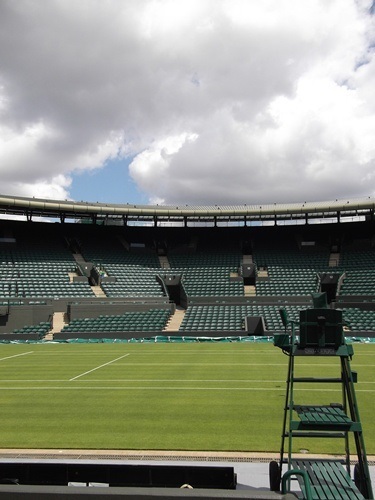 The central court is the most special part of Wimbledon ground indeed and it was curious that during my visit, in a beautiful sunny day in London, we had a bit of rain in the court to bring me to the mood of the tournament. Exactly when we were visiting it. Fascinating! 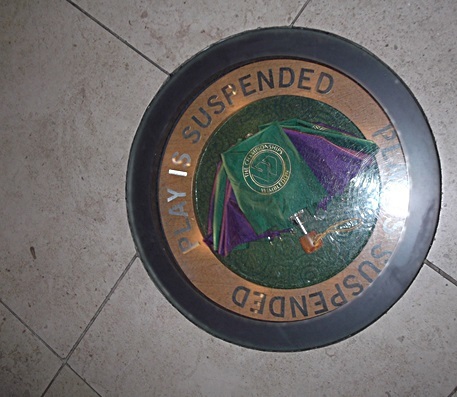 There is so much to explore and learn during the tour guide visit at Wimbledon.The Millennium building is another important place to be explored, where players, media and anyone involved in the history of Wimbledon has taken part of its history. I honestly can say that even for those not very keen on tennis, it's almost impossible not to fall for this amazing sport after visiting this magic place. 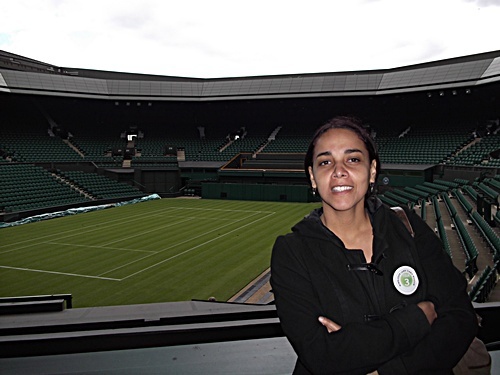 Wimbledon tour is highly recommend! Just the thing to get people in the mood for the finals. I've wondered what the museum was like. Nice review.